Ansell Multi-Knit Poly/Cotton Gloves (pair). This heavyweight poly/cotton blend is a perfect glove for general purpose work. It offers good durability and will not shrink when laundered. 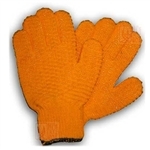 Super grip honey-combed PVC fillet/fish gloves. 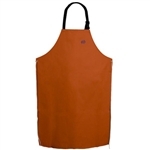 Great for handling or filleting fish. Palm Coating provides a slip resistant grip in wet & dry conditions. Superior, waterproof protection to the hips. Plain Toe Hip Wader with Cleated Outsole. Applications: Food processing, Commercial Fishing. 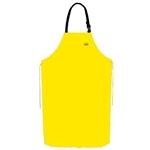 Features: Nylon webbing neck strap, simple tie back closure. Fabric: A heavy cotton canvas base material (7.7 oz. per yard), coated with a specially formulated PVC (10.3 oz. per yard) fora total weight of 18 oz. per yard. The PVC coating is specially designed to resist oils and remain flexible in extreme cold. A higher cut for more chest protection, Rip-Stop PVC/Nylon drys fast because it really never gets wet due to the PVC coating inside and out. Webbing is used in stress areas to extend the life of the pants. Features: A higher cut for more chest protection, Rip-Stop PVC/Nylon drys fast because it really never gets wet due to the PVC coating inside and out. Webbing is used in stress areas to extend the life of the pants. Provides good chemical resistance and insulation in low temperature environments.